Nevertheless, it is recommended before you think of using a gas furnace in your home, you should have a clear idea about its advantages and disadvantages. But the good news is that the advantages of gas furnaces outweigh the few disadvantages that are associated with it. 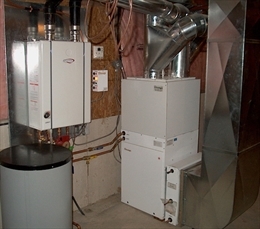 The most important benefit of installing a gas furnace is that it reduces the monthly heating cost. As a result, the heavy investment made in the installation of gas furnace seems worthwhile. At the same time, installation of gas furnace also means lesser carbon footprint by the user because gas furnaces are eco-friendly in nature when compared to other heating systems. Another lucrative benefit associated with gas furnaces is that the ones using such furnaces are eligible for some federal tax rebates because of their energy efficiency. However, one must keep in mind that all gas furnaces are not eligible for the rebates but the ones which have a high AFUE rating can get those rebates. It needs to be mentioned here that there are some problems associated with gas furnaces as well so people need to keep a careful eye when buying a gas furnace. First of all, gas furnaces are costlier than other modes of heating but in the long run, the investment seems worthwhile. Secondly, all regions do not have the availability of natural gas, so some homeowners might not have the option of installing a gas furnace at all. Last but not the least, natural gas leaks can be quite dangerous so all houses installing gas furnaces must have gas leak detectors. 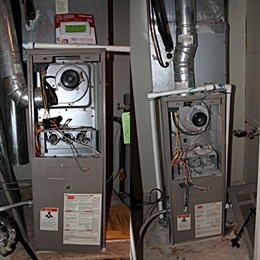 It is important to buy a right sized furnace because a furnace that is too small will not be able to heat the rooms adequately while a furnace that is too big in size will cycle on and off to frequently. In order to buy a properly sized furnace an HVAC contractor should be called in who will correctly measure the heat requirements of the building. Secondly, it is recommended to buy a high efficiency gas furnace. This means a gas furnace which has a high AFUE rating should be bought. It may prove costly initially but in the long run the investment proves worthwhile. Last but not the least, adequate market research needs to be done before the purchase of a gas furnace.